4 Bedroom End of Terrace House For Sale in St. Agnes for Guide Price £495,000. 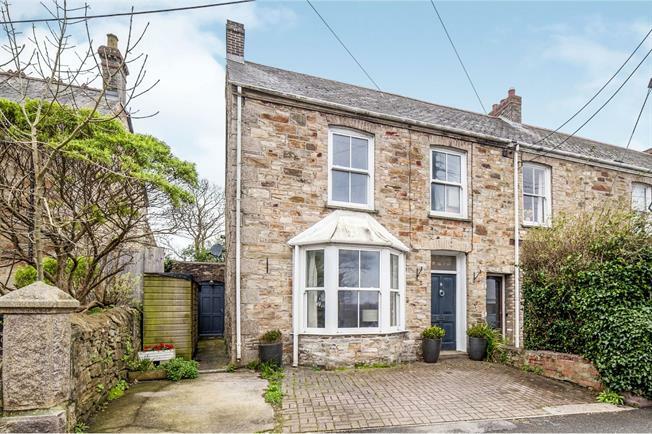 Four bedroom, three storey period property in the heart of the popular village location of St Agnes. The property benefits from off road parking enclosed rear garden, sliding sash double glazing, oil fired central heating, sunroom. All within close proximity to amenities. Wooden front door. Radiator, original floorboards. Double glazed uPVC sash bay window facing the front. Radiator, original floorboards, ornate coving, open fire. Wooden French double glazed door, opening onto the garden. Radiator, original floorboards. Radiator, tiled flooring, built-in storage cupboard and boiler. Space for fridge/freezer. Double glazed wood window facing the side overlooking the garden. Tiled flooring, tiled splashbacks, spotlights. Roll top work surface, wall and base units, stainless steel sink with drainer, integrated, double oven, integrated, gas hob, stainless steel extractor, space for washing machine, washer dryer. Double bedroom; double glazed uPVC sash window facing the front. Radiator, carpeted flooring. Double glazed uPVC window. Laminate flooring. Low level WC, claw foot bath with mixer tap, single enclosure shower, pedestal sink and wash hand basin with mixer tap. Double bedroom; double glazed uPVC sash window facing the rear overlooking the garden. Radiator, carpeted flooring, dado rail. Single bedroom; double glazed uPVC sash window facing the front. Radiator, carpeted flooring. Double bedroom; French double glazed door, opening onto a balcony. Double glazed wood window facing the side. Radiator, original floorboards. Double glazed wood window facing the rear. Heated towel rail, tiled flooring, part tiled walls. Low level WC, double enclosure shower, wall-mounted sink, extractor fan. To the front of the property is off road parking. The path continues of the property where thee is an oil tank with door leading to conservatory. The rear garden is enclosed with steps leading up to decking and feature summer house.